It was cold (12 degrees), snowy and windy on December 29, and the wind was coming from the east. I thought t the conditions were ripe for surfing, and this was confirmed when I looked out and saw a couple of surfers in the lake. Of course, I quickly got my camera, and headed out to the lakefront in the cold, driving wind. 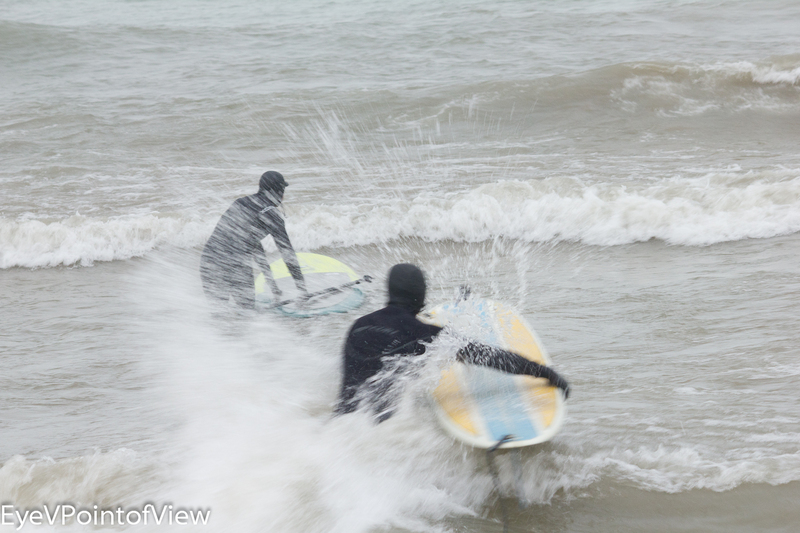 As I walked towards the lake, I was dismayed to see on the surfers leaving – I had only seen two out there. Inside, I was giving myself grief for having taken too long to come outside – standing around in 12 degree weather requires some preparation. Much to my astonishment, when I stepped over the rocks, there were five to seven surfers! Well here are my 5* selections from that outing (I actually had more, but decided NOT to bore you). Catching the Wave – I watched the surfers paddling to catch the wave, then positioning themselves on the board, and ultimately, riding the wave. In this image, the two surfers are going for the same wave, and you can see it rising beneath them. Catching the Wave #2 – Even after a couple of hours, the waves were still strong. 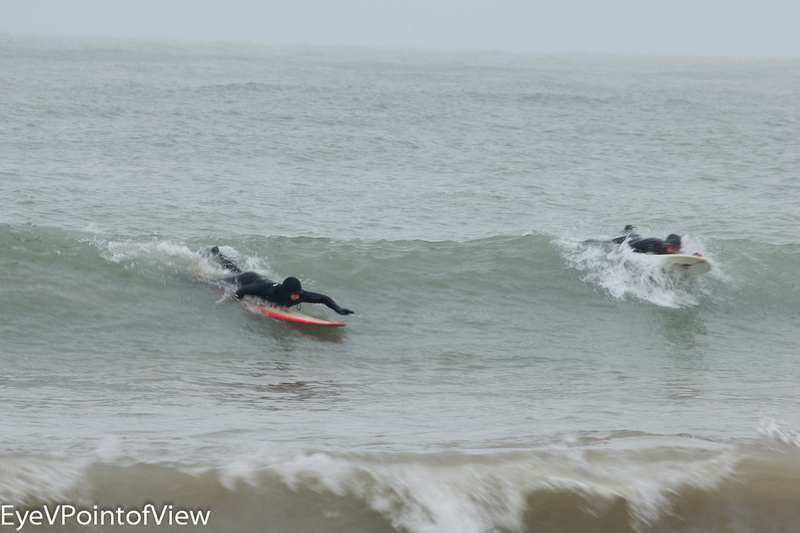 It’s wonderful to see these guys side by side, each approaching the wave with their respective surfing approach. Surf’s Up – the waves were strong in the normally calm lake. This surfer stands out against the wave behind him – I think he has good form! (Surfers, please comment). 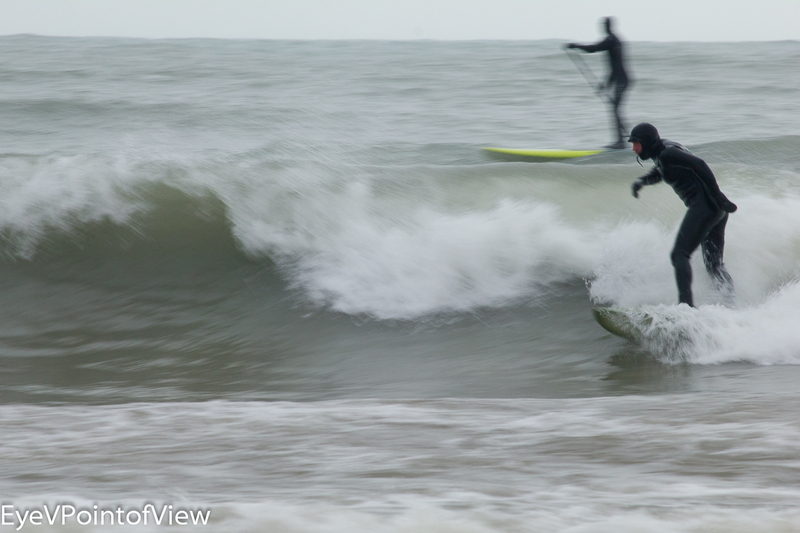 Surfers on Lake Michigan are always a special photography event. The driving snow made this one even more challenging but fun, and a far cry from the summer surfing scenes posted 12/9/2013. Enjoy! haha – you should post on youtube! No one would believe it is Chicago! 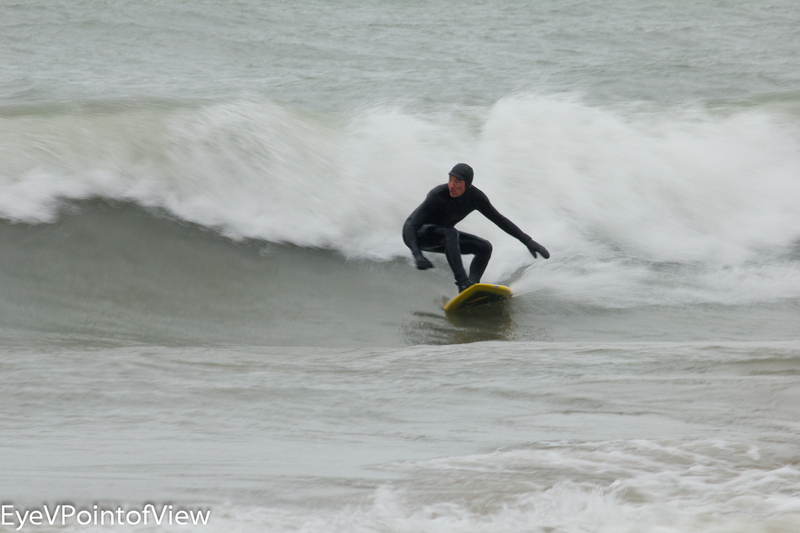 Yes, people don’t believe we have these kinds of waves for surfing in Chicago. This is proof!